Afro-brazilian martial art originating in Brazil approximately 400 years ago. Part of the Mandinga school. 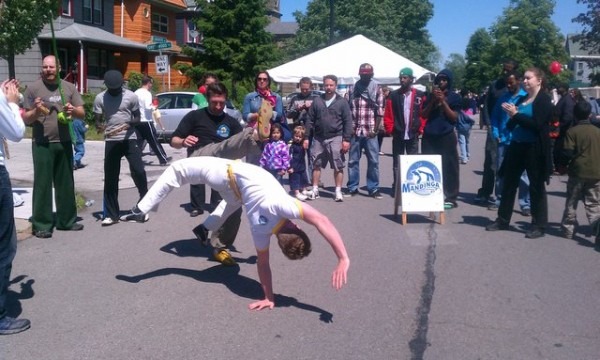 Capoeira is a unique art form and self-defense incorporating strong elements of acrobatics, dance, and deception. It brings together music, movement, philosophy, and tradition as a community, as a cultural whole. Capoeira is an afro-brazilian martial art originating in Brazil approximately 400 years ago (in the 1600s).